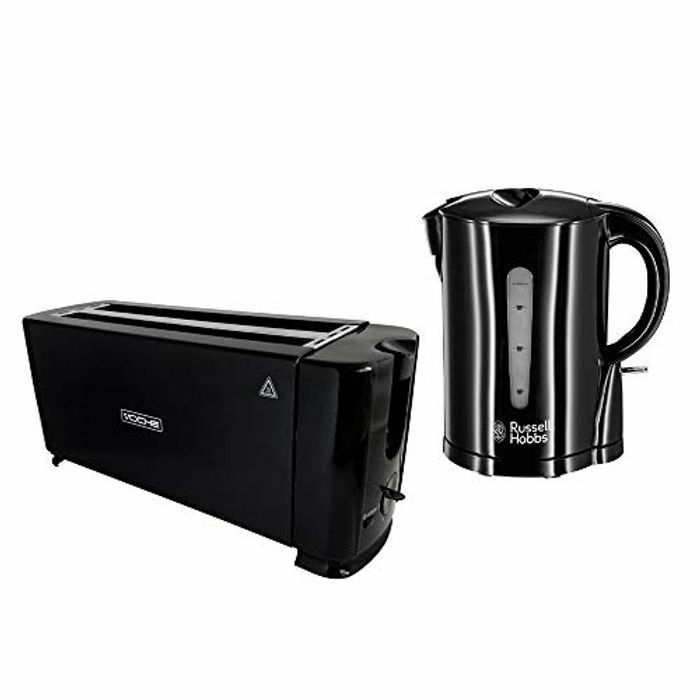 This Russell Hobbs Essentials Gloss Black 1.7 Litre Cordless Kettle & Voche 4 Slice Toaster Set has a stylish, contemporary design and would look at home in any kitchen. The 1.7L Cordless Kettle features a large water level indicator window and an illuminated power on switch. It has a hinged locking lid for easy filling and automatic cut off for safety. Black 1300W 4-Slice Toaster from Voche with variable browning control for perfectly browned toast every time.